Since Disney’s (ongoing) acquisition of 20th Century Fox has left a lot of current confusion re the current state of the once Fox-owned Marvel film projects future. But even with certain things like whether the current X-Men will exist in the world of the current Avengers (with much of the speculation going to nah), it seems there is no hindrance to the announcement of new projects set for development. The latest: Deadpool‘s director Tim Miller is at the helm of developing a solo X-Man film – for Kitty Pride. Yep, the mutant who has the cool knack for phasing through solid objects and the ability to cause electrical interference and destroy mechanics when phasing through appliances and machines. 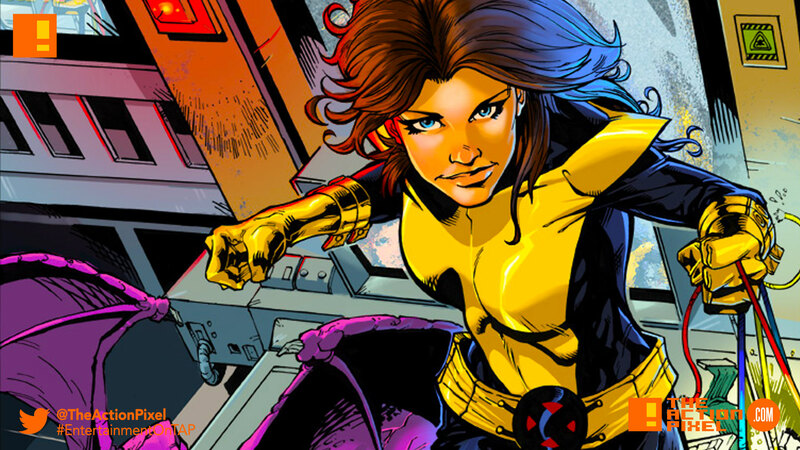 Tim Miller is setting up the Kitty Pryde movie at Fox Studios, the purchase of Fox by Disney could complicate things, as the deal is set to go through in 12-18 months. Kitty Pryde, aka Shadowcat did appear in previous X-Men movies such as X-Men: Days of Future Past and X-Men: The Last Stand played by Ellen Page, and Sumela Kay played the character in X-Men.